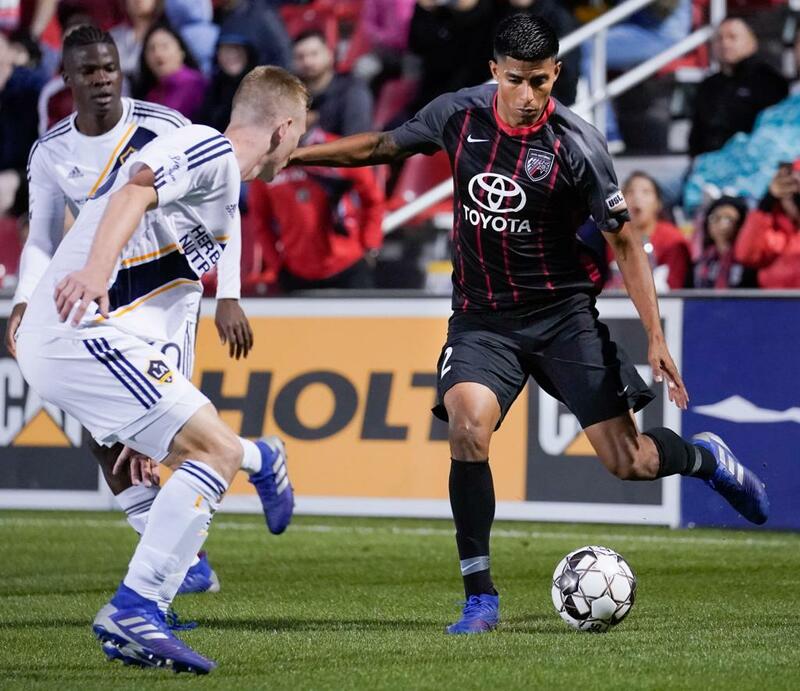 San Antonio FC earned its second consecutive win at home, defeating the LA Galaxy II 2-0 on Saturday. Goals from Bradford Jamieson IV and Ever Guzman and a clean sheet for the SAFC defense led to a successful night in San Antonio. San Antonio FC forwards Ever Guzman and Bradford Jamieson IV each score their second goals in as many games, leading to a second straight win for SAFC. Jamieson IV’s goal came against his former club – the forward is on loan to San Antonio from the LA Galaxy. Guzman’s tally was his 19th in all competitions for San Antonio since joining the team midseason in 2017. Tonight’s win marked the first clean sheet on the season for San Antonio FC and first for goalkeeper Matthew Cardone in 2019. Defender Joshua Yaro led the way with nine clearances, while Kai Greene recorded six tackles and 12 possessions gained in the 2-0 victory over Los Angeles. SAFC midfielder Rafa Castillo made his first appearance for the club this season. The midfielder, who has been injured at times so far this season, came on at halftime, played 45 minutes and recorded two shots and an 85 % passing accuracy.